Few weeks back, Microsoft has revamped its email service, Hotmail and launched it as outlook.com. This new service comes with nice look and new feature. 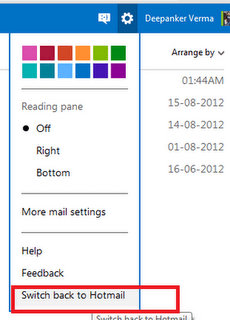 Look of this new email service is inspired by Microsoft’s metro interface. Microsoft is also suggesting all users to upgrade their Hotmail account to outlook account. But most of the users still want to stay on Hotmail account. There are many users who switched to outlook account but they fail use it properly. They want to go back again to Hotmail account and search for option. Follow these steps to go back to Hotmail account from outlook account. First of login into your outlook.com with your Hotmail email id. Click on this link. You will see a pop up box asking for feedback. Click on “Skip Feedback.” Then you will be redirected to your older Hotmail account from outlook. Now you are back on the Hotmail account from your outlook.com account. If you want to switch back again on the outlook.com, you can upgrade your account to outlook.com any time. 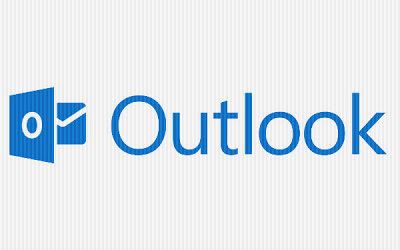 I personally recommend to use outlook.com which is much better than Hotmail with so many security and social features.